The Highest Order are heading back on the road this summer, but before they do, Exclaim! is giving you an exclusive first look at the band's new live video for their cover of Gregg Allman and Robert Kim Payne's "Midnight Rider." The psych-leaning folk band will be heading through Western Canada in July, kicking things off in Victoria on July 12. They'll play Cortes, Vancouver, Kelowna, Calgary and Edmonton, before wrapping up the trek in Yellowknife on July 20. If you can't wait that long to catch the band live, you can see them on June 12 at the Dakota Tavern in Toronto as part of NXNE. They're on a bill curated by Peter Dreimanis of July Talk. The clip for "Midnight Rider," meanwhile, was captured at the now-shuttered Silver Dollar Room. 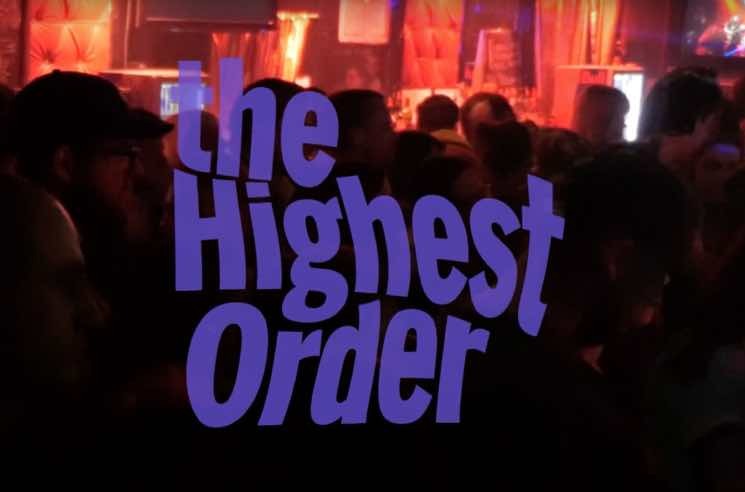 Relive the club in its final days by watching the Highest Order's live performance of "Midnight Rider" below. The band's last album Still Holding arrived in 2016, but they'll be further toasting the Toronto venue in their video with a new album titled Farewell to the Silver Dollar. It's expected out before the end of the year; stay tuned for more details.